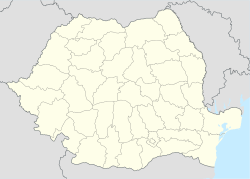 Nădrag (German: Nadrag or Steinacker; Hungarian: Nadrág) is a commune in Timiș County, Romania. It is composed of two villages: Crivina (Alsógörbed) and Nădrag. This Timiş County location article is a stub. You can help Wikipedia by expanding it. This page was last edited on 6 June 2018, at 10:58 (UTC).